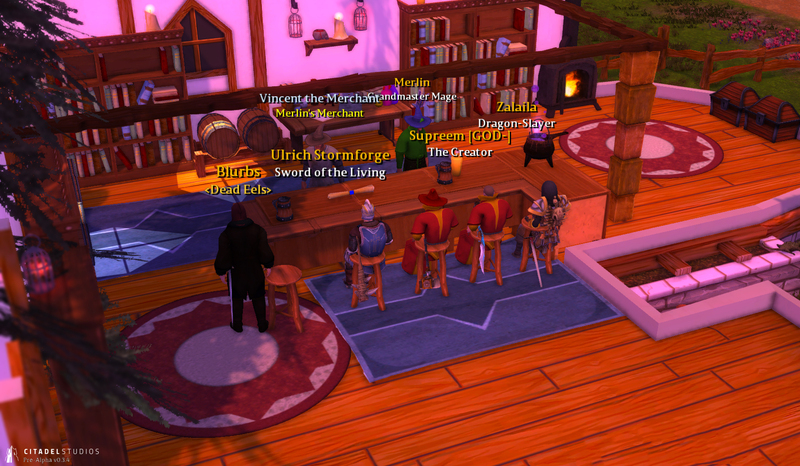 Player Parties and Group Looting. Fishing – Who is going to be the first to catch a rare Golden Aetherfish? (PvP) Criminal System – Risk vs reward through criminal and murderer player flags. (PvP) Guild Allegiance – Pledge yours guilds in allegiance to the Gods of Water or Fire and claim victory in their name! (PvP) Combat Balance – major revisions to spells, abilities & damage. 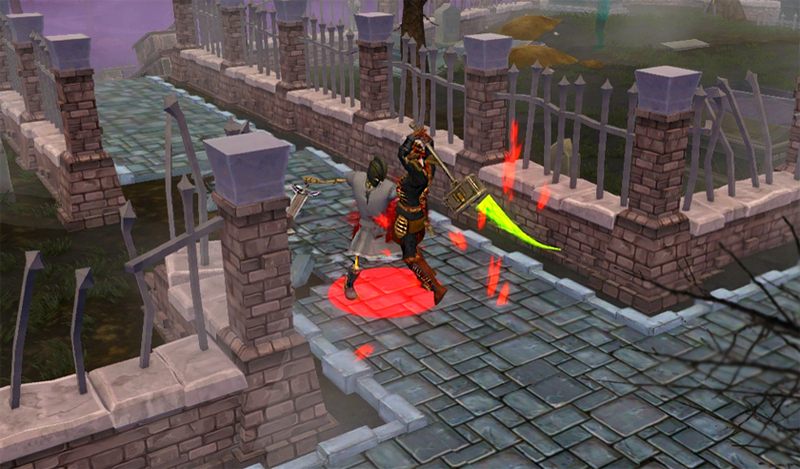 New Spells and Combat Abilities: Greater Heal, Poison, Cure, Onslaught, Leap and more. User Interface Overhaul: Mini-map, Containers/Backpacks, Crafting, Skills/Abilities, Guild interface & Buff bar added! Alpha Tier supporters can try out the build on our Test Server now using the experimental build on the dashboard. For the full patch notes, head to our News Section. This release marks a major milestone in our development as we approach our Alpha release as large areas of Shards Online have undergone substantial change. To facilitate these changes and offer the best testing experience possible, we will be conducting a wipe of our Pre-Alpha servers. The Citadel Studios Team would like to thank everyone who has pledged & participated in testing to date and for the fun times we have had in Pre-Alpha. It saddens us to blow up your things but we look forward to sharing our next big phase of testing with you. We do not anticipate to wipe for our approaching Alpha launch and hope to keep this server running through to Beta and beyond! Merlin invites some friends to his home to recount tales of times past. To celebrate our Alpha Preview launch, we are planning an epic Alpha Preview Weekend on patch day, Friday 23rd. All expired trial keys are being reactivated from 4pm on Friday and will remain active until Monday. 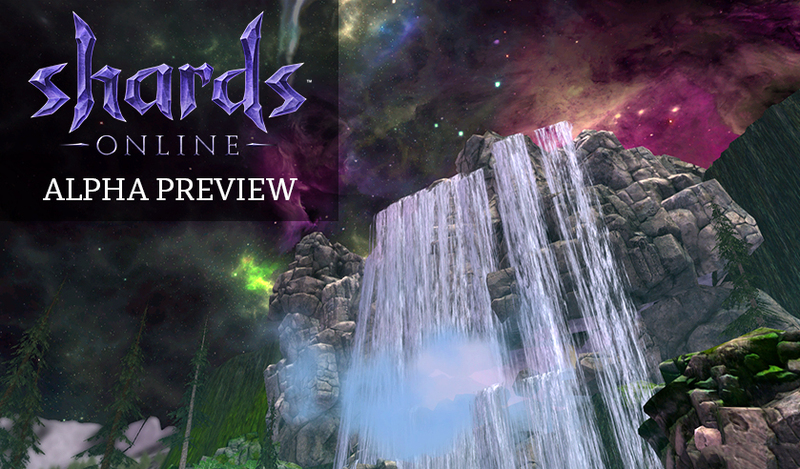 We will also be sending out invites to members of our mailing list, as well as several guild invites for gaming groups to jump in and experience Shards Online. Please do spread the newsletter signup link to your friends who want to try out the Alpha for free. If your guild would be interested in taking part, please email us atcontact@citadelstudios.net. Get a head start on our new server – Double Skill XP all day Saturday! Weekend Events: Scavenger Hunts, Naked Run, Newbie PvP Tournament & more! As the weekend comes to a close, everyone who participates will be emailed a survey to provide us with feedback on our progress towards Alpha and we would really appreciate your thoughts. Keep an eye out for an invite and we look forward to seeing you in Aria! So you fancy yourself as an angler? 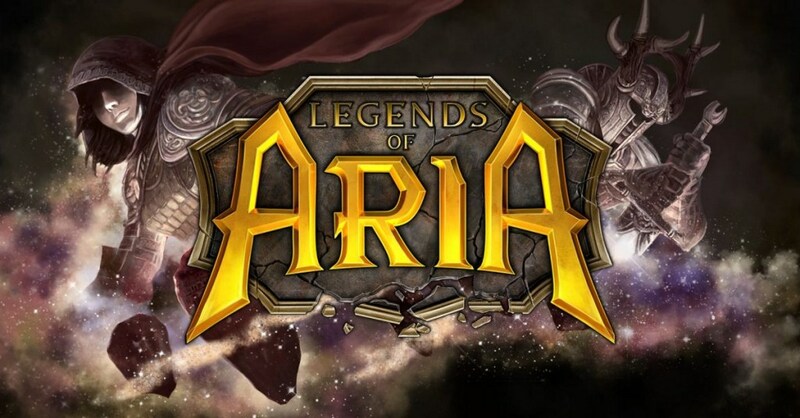 The Alpha Preview Build will be bringing many species of fish to waters of Aria, complete with the skills and tools to become a Grandmaster Fisherman. Fish may be caught in any lake or river, and may even be found in schools should one specific species be sought after. Fish have been fully integrated into our cooking skill and may be filleted and prepared by player chefs into delicious and nutritious meals. 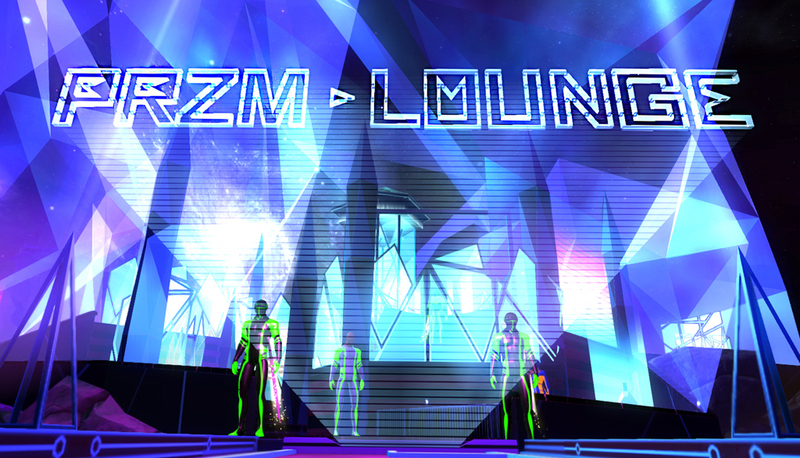 The Prizm Lounge sits at the centre of the Shards Online Universe. Built by the Pedasii on a distant shard of the once great Aria, this inter dimensional club serves as a social hotspot for those the Pedasii hold a trivial fascination to observe. The Pedasii spared no expense in their construction of this lavish lounge, offering the finest selection of inter-galactic refreshments at the cyber bar and a live entertainment suite delivering a non-stop dance party. Lounge rooms exist for socialising or simply kicking back to enjoy the cosmic view while sipping on a cool Star-Soda. 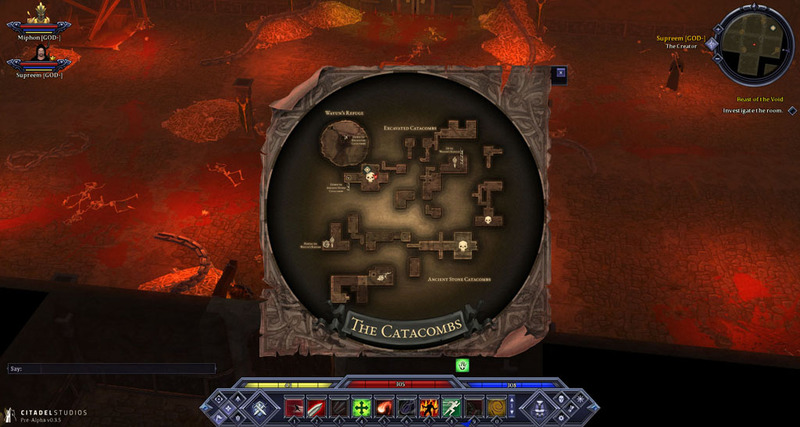 The Founders Shard features many unique items and quests and is only accessible to supporters who have pledged at the founders level or above. We are excited to announce the arrival of our long awaited Player Party System. Players are now free to form player parties complete with player status frames, group looting and group chat. 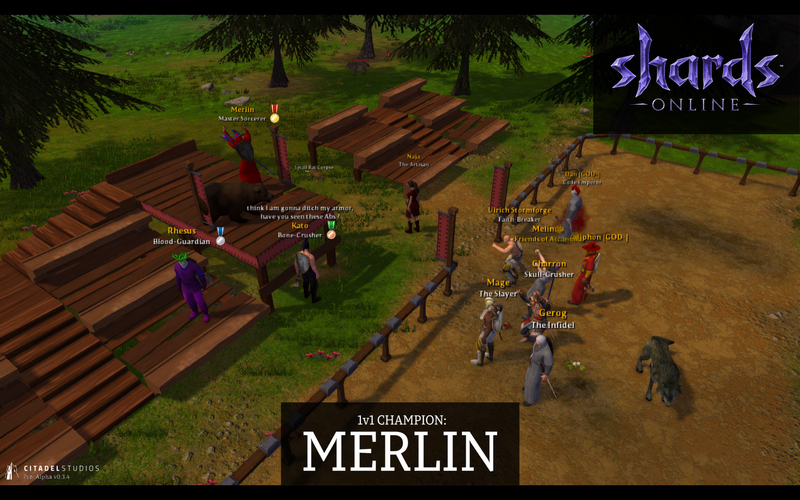 Parties can be created and controlled via the radial menu, or using in game commands. The auto-loot function allows looted items to be distributed in turn between members and splits gold coins equally between your party. Derek recently hosted an AMA over at /MMORPG/ and got through a ton of questions. Head over to reddit.com/r/mmorpg to check it out. Our next Community Roundtable will be going out live on Saturday, September 24th at 1pm EST. Join us in Discord to take part in the discussions. To catch up on our previous Community Roundtable’s, head over to our YouTube Channel! Derek ‘Supreem’ Brinkmann discusses our latest features in the August Community Update. A large focus on our design efforts have been focused around Player Economy. Our objective is to reward players for playing the game how they want to play it, to offer as many routes to achieving a goal as is possible and realise a true free-form system of player progression. This requires a flourishing player economy based upon scarce goods, an increased demand for goods and services and prioritising player trade as the main source of exchange. It all comes down to coins. 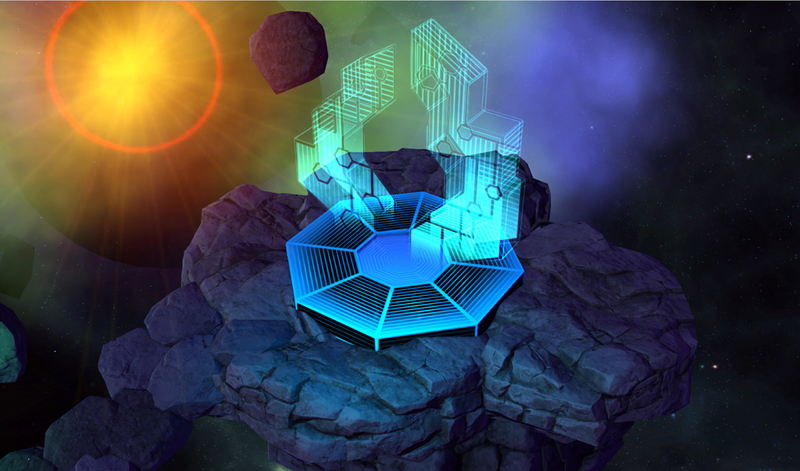 We have begun to implement systems which will vastly increase the demand for and utility of in-game currency. 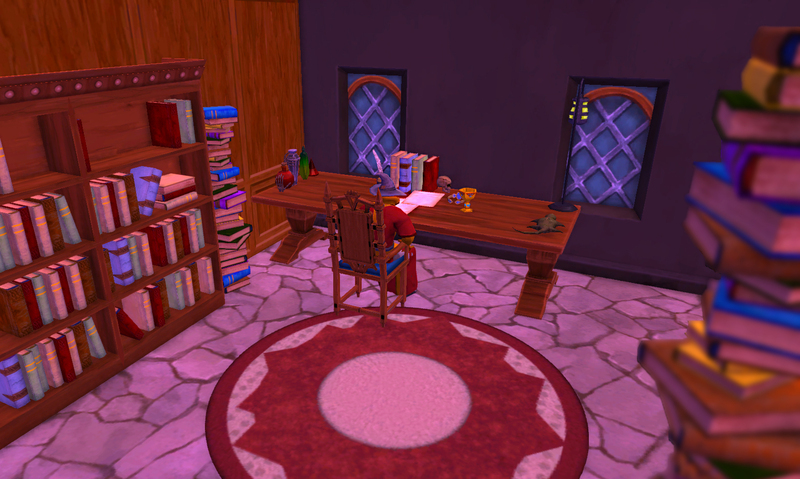 The first step has been a re-balancing of the availability of raw materials (wood, iron, cloth & leather) and introducing these resources for sale at NPCs in Celador whilst simultaneously reducing the price NPCs will buy goods from players. 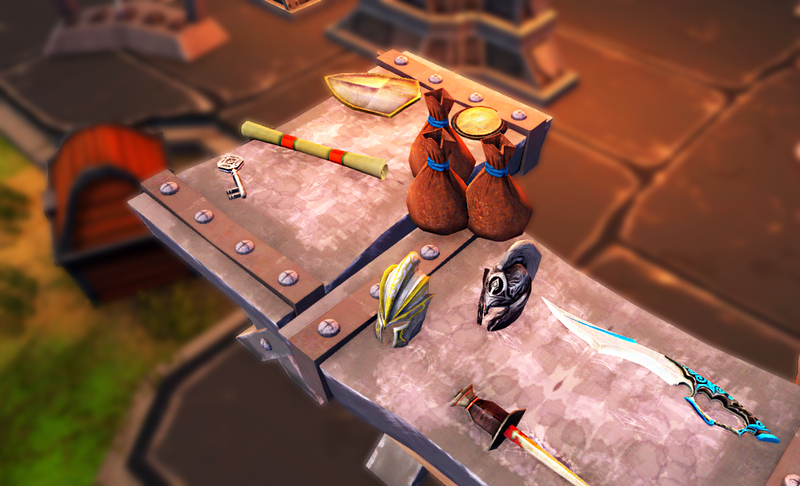 Through offering players a market price for these resources and pushing limited quantities of these items into the economy at fixed prices, we feel this will give players the information they need to engage in profitable trade of these resources and a good source of income. This will also allow players to not only assign a more accurate coin price for resources & craftable items, but for the material cost of training skills and abilities. This is a transition we are designing to be applied to as many core skills as possible. We will be reviewing the ways in which players engage in character development and ensure that skill training is not a free exercise, particularly for those who seek to do so autonomously. We are currently looking at skills which require materials to train (raw resources for crafters, weapons and armor for warriors) and addressing areas which are currently free, such as manifestation and regeneration. We believe that skill training should require investment and that players should supplement the material requirements to train a skill whilst they train, or earn through others means to supplement training. We have begun to address this with the implementation of reagents to optimize manifestation spells and with bandage use through our new First Aid skill. How much money would it cost to train my skills in the least amount of time as possible? How long would it take to train my character whilst spending as few coins as possible? How much coin can I earn at this skill level? These are questions we want players to know the answer to. In Shards Online, achieving a goal should have as many avenues to doing so as possible and it’s our mission to give players that opportunity. The final piece in the puzzle is monsters. 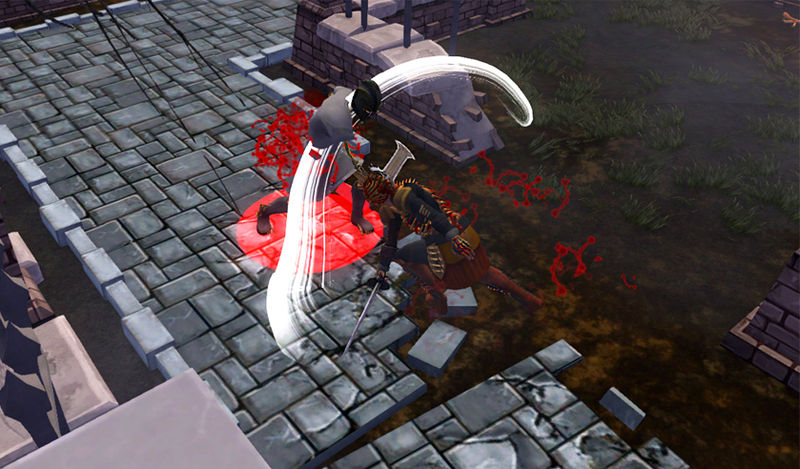 We’re conducting an ongoing review of monster interaction to ensure balanced spawns and to affect skills gain such that players develop quicker when attacking monsters closer to their own abilities. We have also revamped coin drops to ensure that this enterprise becomes a more rewarding experience through adding greater risk and reward across different difficulties of monster spawn. At the end of the day we want players to create more, earn more and spend more. We want greater options for players of Shards Online to meet their individual goals and for the community to feed off of each other’s productivity in creating the truest player driven economy. Stay tuned on our developments! Fancy your hand in the arena? Our team have been running weekly competitions and giving prizes to the mightiest duellists in Celador. Expect the conventional 1v1 and 2v2 brackets, but we’re also partial to Last Man Standing, Royal Rumbles and other specialist matchups to bring a little chaos! Join us at 7pm EST every Thursday!At the end of the day we want players to create more, earn more and spend more. We want greater options for players of Shards Online to meet their individual goals and for the community to feed off of each other’s productivity in creating the truest player driven economy. In a sandbox world such as Aria, information is king. Much like our own world, a broad understanding of the world is an invaluable asset to your enjoyment and productivity. 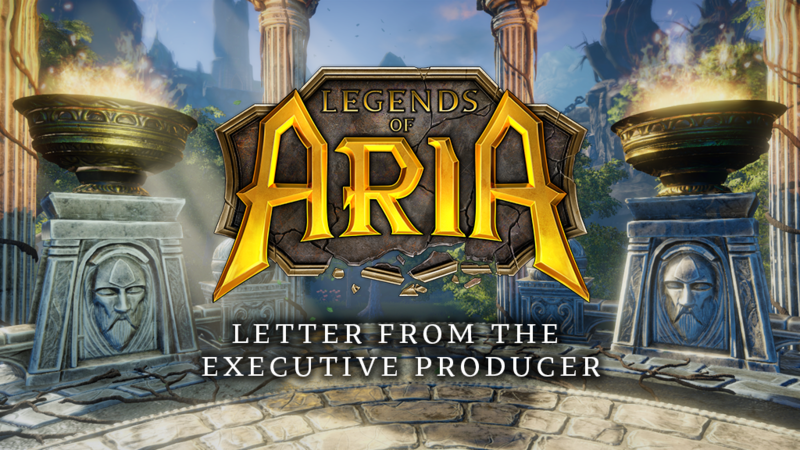 For this reason we have decided to exclude our Wiki page from our NDA in allowing players to document and chronicle the Shards of Aria. We encourage all budding curators to freely publish guides, information and data in creating a library for the people of Aria. We’ll be keeping record of contributors to the wiki and have some exclusive titles to offer players who make frequent contributions!